1. What varieties of apples are considered good for juicing? 2. How much juice you can get out of a particular variety of apple? 3. 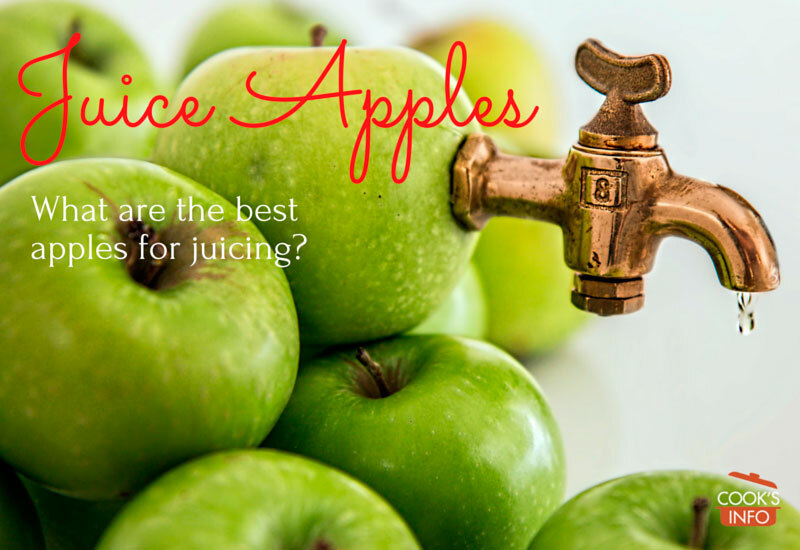 What kind of juicing machine are you using on your apples? 4. How much sugar would you have to manually add to the juice? 5. Is the apple ripe enough to be juiced? 6. What apples are the most economic to use for juice? Juice Apples is a term used to describe the best types of apples to use for producing apple juice. There are several factors that go into deciding what “best” means. Jump down the page a bit to the Juice Apples list section to see the list of apple varieties considered good for juicing. The list is long, so it’s been put at the end of this entry. Even so, this is not to imply that the list is exhaustive; new varieties of apples are always being tested and coming to market, and vary by region as well as the vagaries of marketing boards. We will add to the list over time as we do the research on them. Some apple varieties have drier flesh than others. This means that it may take three or four of those drier varieties of apples to produce one cup (8 oz / 250 ml) of juice, compared to perhaps two apples of a juicier variety. Note that the amount of juice you get out of an apple also depends greatly on what kind of juicer you use; some juicers are better than others. 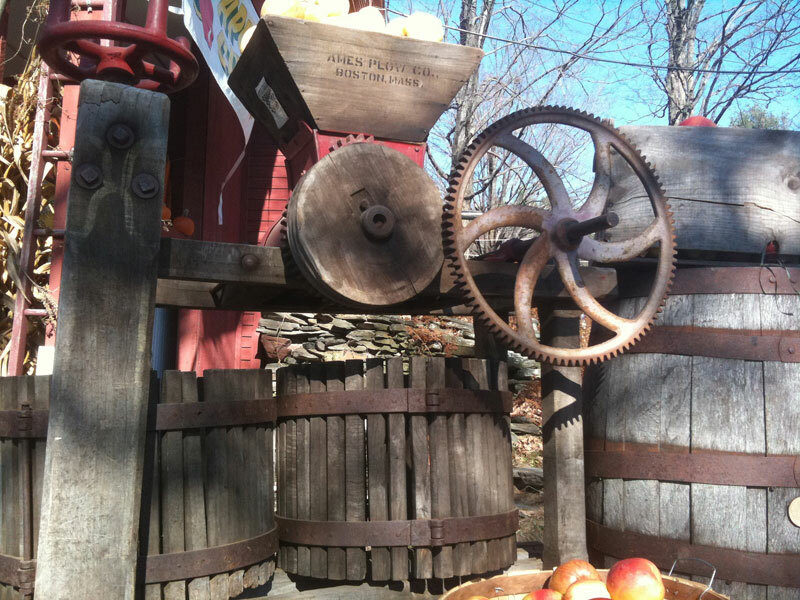 Note that commercially, rather than being pressed as home juicers would do, producers of apple juice usually extract the juice by putting the apples through a spin extraction process. The resultant juice is then filtered, clarified, pasteurized and heat treated so that it will be shelf-stable. The base taste of all apples is tart. That is what provides their satisfying clean, fresh taste. 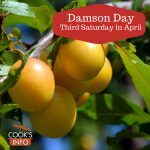 The most desirable apples, however, also develop sweetness which helps to offset and balance some or most of the tartness, making them more palatable. Very few crab apples, for instance, are used as fresh-eating apples as they are too tart to eat on their own out of hand. Using apples which naturally taste sweet means that you do not need to add a sweetener to the juice (usually in the form of white sugar), which makes them more desirable as “juicers.” Apples which produce a naturally sweet juice include Fuji, Gala, Honey Crisp, McIntosh, Pink Lady, Red Delicious, Rome, etc. Note that oftentimes different varieties of apples are pressed together to achieve a desired balance of tartness and sweetness in the juice. Commercially, after apples are pressed for juice, the juice is reduced to a concentrate form for easier shipping. This is called “apple juice concentrate.” A common sugar content standard for apple juice concentrate is 70 degrees Brix, but acid (tartness) levels can vary: there are no real standards for that yet. Brix is a fruit industry term for sugars naturally found in fruit juices. 70 degrees Brix is very sweet; for comparison, the brix level of frozen orange juice concentrate as sold to consumers is about 42 before dilution at home with water. A fully ripe apple will yield more juice than one which is not. If you have access to an orchard, you’ll know the apples are ripe because one or two will start to drop. If you are buying from a farm, you can ask the farmer what are the ripest — s/he will usually know down to the bushel. Most home juicers, however, only have access to green grocer bins of apples, and so need to test ripeness based on how firm and crisp the apple is. 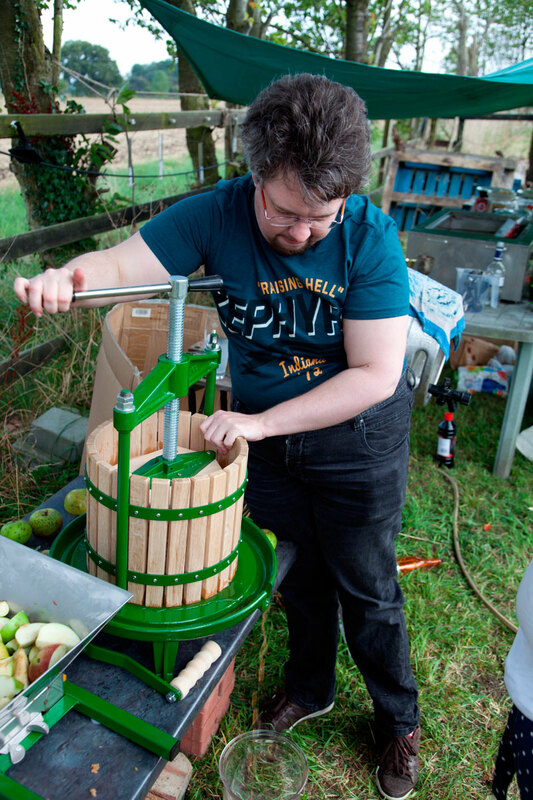 While the economics of which apples to juice may not be a high priority to a home juicer, as they are producing it in such small quantities, for commercial producers of apple juice the economics of which apples to use is as important a factor as any of the above. The apples used commercially for juice are traditionally lower-grade ones: not in terms of the actual inside quality of the apple, but rather, lower-grade in terms of cosmetic appearance. They are considered lower grade because consumers pick their apples on the basis of appearance, and so a higher price can be charged for those apples. Juice producers don’t have to care if an apple would win a beauty contest; no one is going to see it. The appearance of apples can be downgraded by factors such as russeting, sunburn, stem punctures, skin damage from hail storms, etc. Juice is the bottom price category for apples, below fresh retail grade ones for consumers, and processing ones (for canned apple pie filling, etc.) Hail storms are bad news for apple growers, as it may mean cosmetically-damaged apples that can’t be sold at top price, but they are good news for juice producers, as it means a supply of cheaper apples for them. The two largest areas of apple juice production are Eastern Europe (Poland and Hungary), and China. The largest single producer of apple juice concentrate is Poland. Around 2005, China was suspected of flooding the market with apple juice concentrate below production costs in order to capture the market, but owing to internal pressures in China (increased wage demands by labourers, etc), the price of their concentrate has increased since them. In 2006, 17 percent of the U.S. apple crop went for juice.